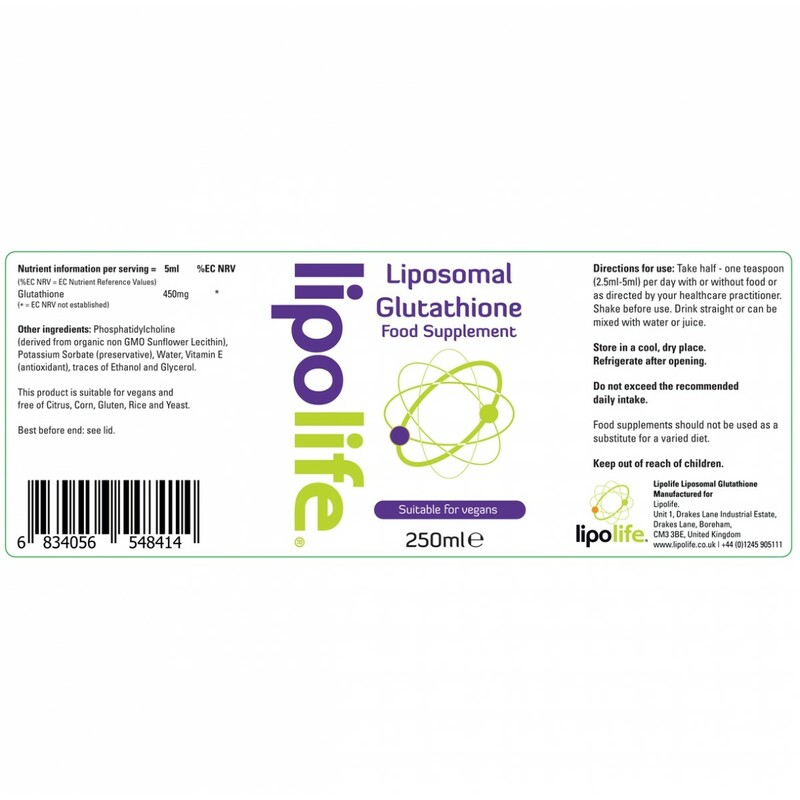 Glutathione in Liposomal form is multifunctional and indispensable to health, longevity and even life itself. It's the most important molecule you need to stay healthy - yet you've probably never heard of it. There are more than 89,000 medical articles about it. Glutathione is truly one of the wonders of nature. It’s multifunctional and indispensable to health, longevity and even life itself. It's the most important molecule you need to stay healthy - yet you've probably never heard of it. There are more than 89,000 medical articles about it. 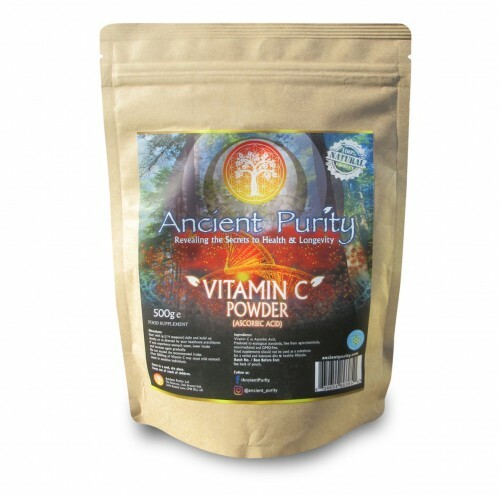 NOW MADE WITH SUNFLOWER LECITHIN. A powerful regenerator of immune cells. Helps keep the body detoxified. Combats the negative effects of stress. 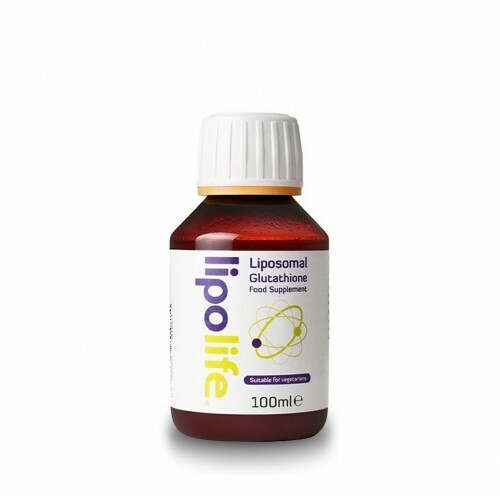 Activates enzymes vital for the removal of all toxic build up at the cellular level. 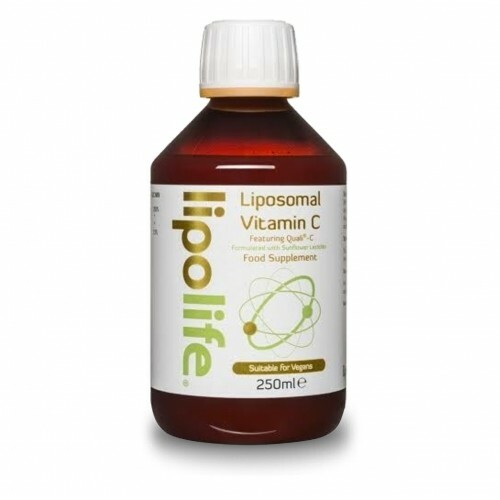 Liposomal absorption is very different from gastro-intestinal absorption. When we eat something, the nutrients are typically broken down in our stomach and intestines with acid, enzymes and bacteria. When the molecules are small enough, they can slip between intestinal cells, and into our blood stream. The liver and other organs then spring into action and re-assemble the more complex molecules, such as enzymes, lipids and hormones. 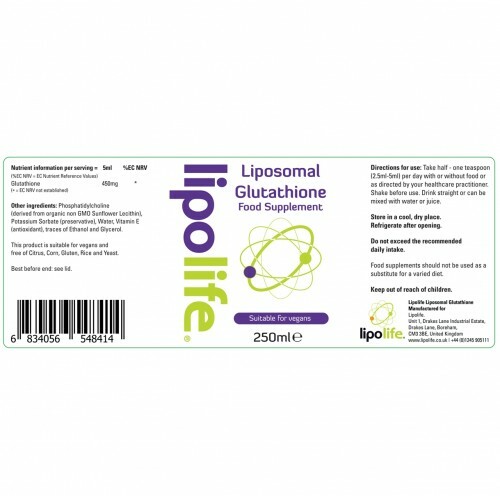 Liposomes, such as glutathione liposomes, work around this break-down, absorb, then re-assemble protocol. Because on the surface the liposome looks exactly as a human cell and the two will merge, very much like two soap bubbles will merge into one larger one. Liposomes are NOT digested. They are not broken down! A new class of bio-available supplements. Micro-particle technology ensuring much higher absorption. Manufactured using specialised techniques to ensure product stability. Glutathione is easily the most important agent in keeping the body detoxified and healthy. 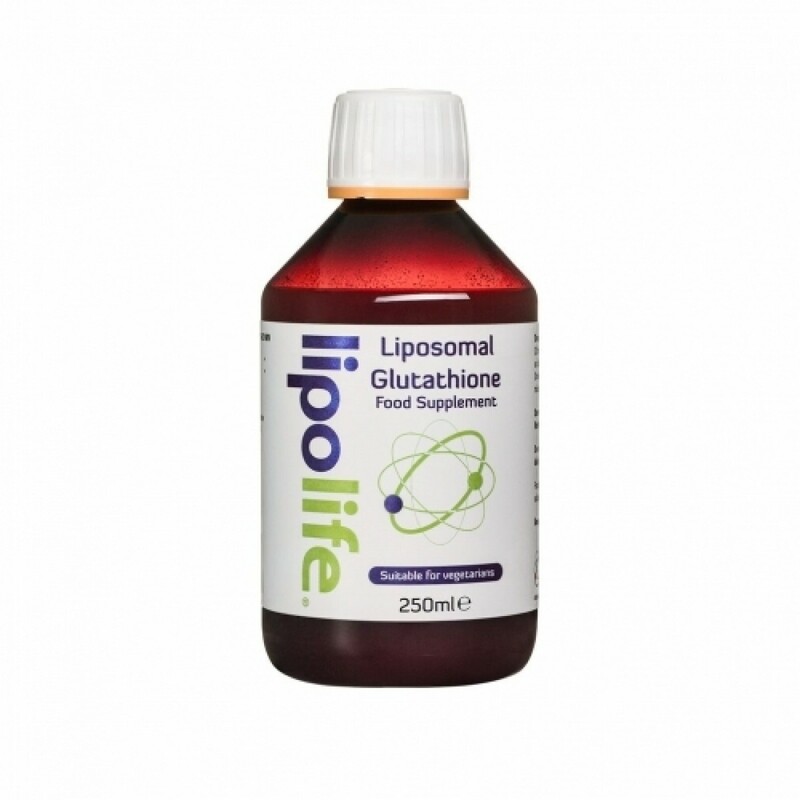 Glutathione is vitally important in the synthesis of DNA and the maintenance DNA, the synthesis of protein and amino acids, so the body can utilise them effectively. 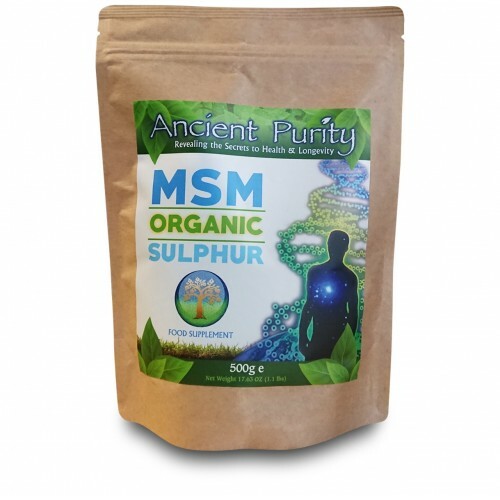 Also glutathione plays an important part in the removal of synthetic chemical toxins and carcinogens and resulting free radicals whilst playing a significant role in optimising the immune system. 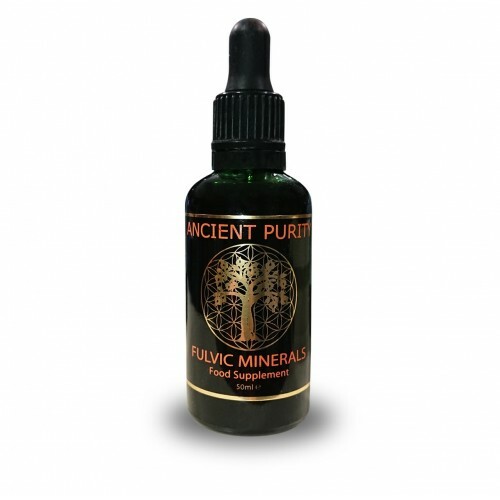 In addition, it is essential in protecting cells from oxidisation and activates enzymes vital for the removal of all toxic build up at the cellular level. Glutathione also has exceptionally strong antiviral effects. High levels of glutathione in the body and subsequently in tissues and blood serum, have been shown to inhibit and prevent the replication of virtually all pathogens. By the same token, if the levels of glutathione are too low in the body, the body is far more susceptible to virus and pathogen invasion. The good news is that your body produces its own glutathione. The bad news is that poor diet, pollution, toxins, medications, stress, trauma, aging, infections and radiation all deplete your glutathione. This leaves you susceptible to unrestrained to a lack of health. Take half - one teaspoon (2.5ml - 5ml) or as recommended by your health care professional. Do not exceed the recommended daily intake. NOTE: Glutathione should only be taken for a month then a break should be given, ideally another month to six weeks. Q - I've noticed the Glutathione has a strong sulphur-like/egg-like smell; is this normal? A - Yes, the glutathione is derived from sulphur so similarity of odour is to be expected. It is unlikely you'd want to sniff it for pleasure, but is entirely normal/natural.